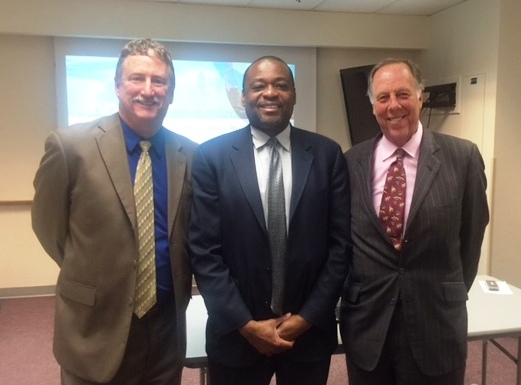 Dr Arthur Evans, the Commissioner of Philadelphia’s Department of Behavioral Health and Intellectual disAbility Service (DBHID), spoke to our Horizon House Board and staff on Population Health during the October 11th board meeting. Population Health is an innovative approach being implemented by DBHIDS to improve the health status of the community. . This approach seeks to promote health and wellness in all, not just to diagnose and address the challenges of some. According to Dr. Evans, “Philadelphia thrives when EVERYONE is healthy & well” (twitter @ArthurCEvans). HH is very excited about the direction the DB because this system-wide health approach will exponentially expand the scope and scale of prior efforts. Horizon House is proud to boast that Wellness has always been an integral part of the services we offer.